Theresa May is now reaching out MPs in a bid to secure her position and negotiate a deal that gets Parliament's assent amid ongoing uncertainty over next steps. The prime minister survived Labour's no confidence motion by a small margin of 19 votes thanks to the support of the 10 members of the DUP. How will the financial markets react to the UK election result? She is set to publish her new plan on EU exit to Parliament on 21 of January with a full debate and the key vote on it scheduled for the 29 of January. May's last night slim victory followed an overwhelming defeat on Tuesday night in the House of Commons that saw 432-202 lawmakers voting against her deal. Labour's leader Jeremy Corbyn refused to join the talks aimed at clearing current uncertainties unless the no deal Brexit was ruled out. Speaking at Downing Street's steps, the prime minister said "she was disappointed that Mr Corbyn has not so far chosen to take part - but our door remains open". "MPs have made clear what they don't want, we must all work constructively together to set out what parliament does want. "That's why I am inviting MPs from all parties to come together to find a way forward. This is now the time to put self-interest aside." In the meantime, the Brexit deadline marches ever closer with the UK due to leave the block on 29 of March. Seema Shah, Senior Global Investment Strategist, Principal Global Investors, said: "While today's result prevents the Labour party from forcing a snap election, the high-stakes political roller-coaster is far from over. It is hardly surprising that the majority of the 118 Tory rebels that voted against May's Brexit deal yesterday then backed her in today's vote. The one thing Tories fear more than the various alternative options for Brexit is a Corbyn-led government. Indeed, the threat of Jeremy Corbyn has achieved the impossible task of uniting the Conservative party - at least for tonight. "Sterling may rally further as fears of a Corbyn-led government recede. The question is how much further could the pound strengthen? Prior to the Brexit vote, sterling sat at around $1.50 against the US dollar. As long as the possibility of "no Brexit at all" is alive, sterling could be drawn up in that direction. However, given the untold damage already inflicted on the economy by the uncertainty of the past two years, it is doubtful that sterling will get within touching distance of the $1.50 mark - even in the most optimistic case of Brexit being stopped entirely. "Theresa May will probably take tonight's win as a mandate to return her Brexit deal to the Commons next week. Ultimately, however, the Prime Minister will likely need to make more than just a few tweaks to the deal to get it passed, and a Norwegian style model is perhaps becoming more likely. Yet to reach this conclusion May would have to relent on some of her red lines - something for which she has provided no enthusiasm. Tonight's result may have put the first nail in the "no deal Brexit" coffin, but the UK's future is by no means secured." Mohammed Kazmi, portfolio manager at UBP, commented:"With the confidence vote now out of the way, the negative tail risk of early general elections has been significantly reduced which is a clear positive. The vote being rejected had been largely priced in during the day and so we shouldn't to see a significant market reaction on the back of this alone. "Instead, investors will be more focussed on Brexit scenarios that are becoming skewed in the positive direction as we either move towards a softer Brexit or an article 50 extension that would open up a 2nd referendum. 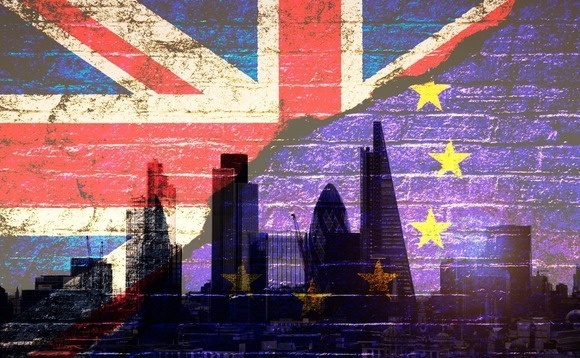 Either of these scenarios should play out positively for UK assets, especially as it is clear that cross-party consensus on a Withdrawal Agreement will lead to the government having to rule out a no deal Brexit scenario as well, removing this fear for markets and narrowing the possible outcomes ".